I received the performance dates and times for CHOP as it will play at the New York International Fringe Festival next month. If you are in New York in mid-to-late August come check out the show! 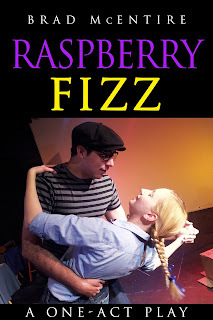 Playing at the Steve & Marie Sgouros Theatre (the Players Loft), 115 MacDougal Street, 3rd Floor (West 3rd Street & Bleecker). I am not super thrilled with the times, since I don't have one really dead-on prime-time slot (7 or 8 PM on a Thursday, Friday or Saturday), but it is the nature of the Fringe, I suppose. Now I just need to concentrate of selling out the small 50 seat theatre (and I'll have to average 80% houses in order to break even financially). The good part is, I know this theatre. I brought the show THE LAST CASTRATO to the New York Int'l Fringe in 2005 and we were in the same venue. I was doing everything except for performing that time (my colleague Jeff Swearingen performed that particular one-man show). It was known as the Players Loft then. Last summer, I guess, it was sooped up and renamed. 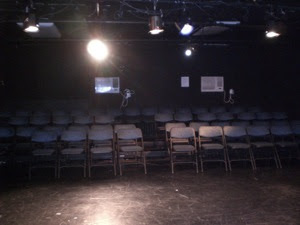 The black box theatre, which measures 31’ x 43’ seats 50. It is now known as the Steve & Marie Sgouros Theatre. 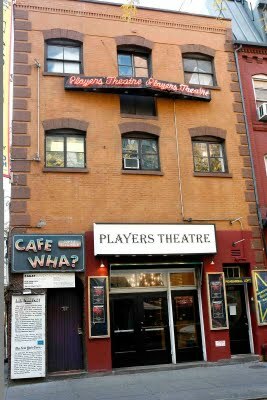 In addition to The Steve & Marie Sgouros Theatre, The Players Theatre includes a main stage 248 seat Off Broadway theatre, rehearsal studios and the famous Cafe Wha?, which has been a Greenwich Village mainstay since the 1960's. Built in 1907 and converted into a theatre in the late 1940's, The Players Theatre has been home to such long run productions as “An Evening with Quentin Crisp”, “Psycho Beach Party” and “Ruthless” starring a very young Brittany Spears and Natalie Portman. 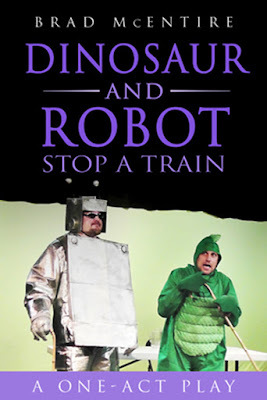 Current productions include the haunting “PLAY DEAD” co-written by Teller (of Penn and Teller) and Todd Robbins. Bike Soccer Jamboree episode 6 is up!